Directions: Coming into Bridgton on Route 302 from Naples, take a left at the traffic light near McDonalds. Go past Hannaford Supermarket and the municipal garage on your right. 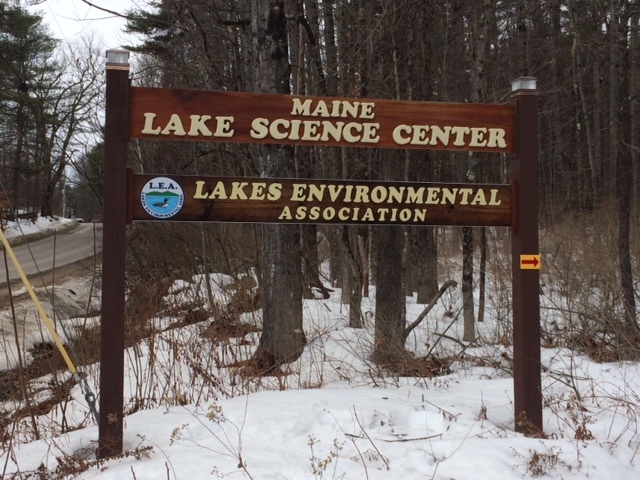 Cross the brook and take an immediate right at the Pondicherry Park parking area/Maine Lake Science Center sign. The Center’s access road is at the edge of the parking area.